Children and parents are now speaking out and calling for a stop to sexual abuse. This was the experience shared at a recent gathering of the Religious Sisters of the Archdiocese of Port Moresby. 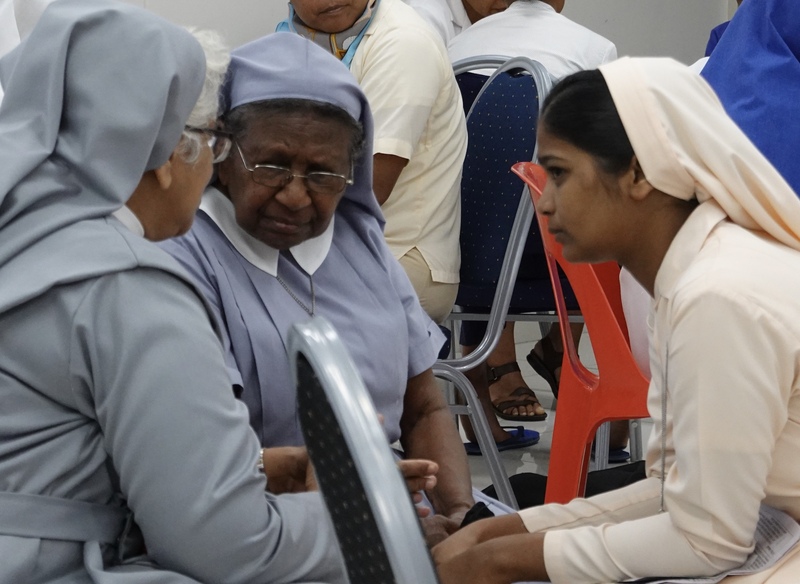 The Lenten Recollection of the Religious Sisters of the Archdiocese of Port Moresby, was held on March 16th. 55 sisters from the different congregations participated at the event which had the theme: ‘Touching the Wounds of Jesus’. The Sisters chose to help one another to become more open to the pain of the victims of abuse in their communities. “We are now challenged to open our hearts to the pain and the wounds present in our world,” said Sr Mary McCarthy pbvm as she explained the theme to the sisters at the start of the program. “In the sharing of experiences in a small group, this teacher found out, that like other teachers, children and parents are now speaking out and calling for a stop to sexual abuse. The sisters were further challenged by the video of Luis Cardinal Tagle, Archbishop of Manila. The Cardinal challenged the Sisters to understand and to promote forgiveness and to become powerful agents of healing. However, justice must first be done. This means reporting to authorities and to the police, who will charge criminals, leading to a court appearance, sentencing and imprisonment, thus enabling the victim to begin to heal.